The city Mostar in Bosnia and Herzegovina, is among the most well know tourist destinations in BiH, the main sight is the old town area and of course the Stari Most, the bridge which was destroyed during the homeland war and later rebuild. Travelling by bus from Split to Mostar: From Split there are several daily bus departures towards Mostar, travel time range from 3 to 4 hours. Depending on which bus you catch you might be travelling on the country road via Livno, or on a route following the highway to Vrgorac. The country road connection is about 145 km long, and the alternative route via the highway about 157 km. On the map below you can find driving direction for the highway route (red line), as well as an alternative toll free route along the coast, unfortunatly the route via Livno is not available on the map. 19.5% off for adults traveling from 31.01.2019. to 31.05.2019. Monday, Tuesday, Wednesday, Thursday, Friday, Saturday, Sunday . Day trip to Mostar: Day trip / Excursion to Medjugorje Several travel agencies offer day trips / day excursion to Medjugorje. Here is an example of one tour available from Split and Trogir, the tour includes visit to both Medjugorje and Mostar. Pick up between 7.30 am and 8.00 am at arranged meeting point. Driving freeway and passing border with Bosnia. 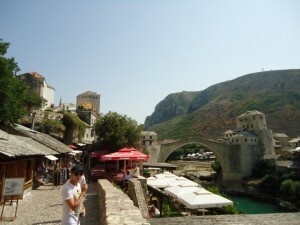 First stop is town of Mostar, here there will be sightseeing with local tour guide in Mostar (ca 1.5 hrs). Afterwards you will have time on your own for lunch, shopping and own discovering (2 hrs). Tour continues to the pilgrimage centre – Medjugorje, where you have 2 hrs on your own to discover the pilgrim site. Back to Trogir / Split around 7.30 pm. Tour facts. 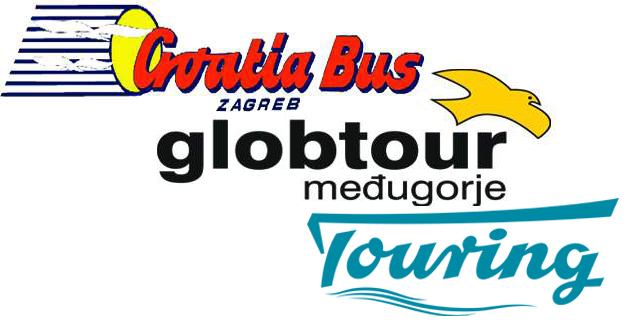 You can book excursion to Medjugorje and Mostar here During sommer season the bus schedule is also suitable for organizing a daytrip on your own, just use the search form at the top of the site, to find buses from Mostar to Split. Travel tips Split – Mostar: Mostar can be a popular destination during the summer month so make sure, to buy you ticket in due time. Remember to bring valid passport. On hot summer days, do not forget to bring water for the trip. Other means of Transportation: By Car, own or rented: It is possible to reach Mostar in less then 2.5 hours is you travel by car, if you do not have your own car, you can rent a car in Split here. By 3 persons or more, rented car can be more economical then travelling with Bus. TIP: private transfer is available between Split and Mostar from 1 person up to group of 45 persons, you can checkout the transfer offer here. If you are travelling from the Airport Split, you can find more information and the prices for transfers here. Do not exceed the speed limits, especially in Bosnia, Police often “hide” them selves behind a corner with a radar device. By train: There are no train form Split to Mostar, if you are keen to go by train you will have first to travel to Ploce, which have a train connection to Sarajevo via Mostar. By Plane: There are no direct planes from Split to Mostar. Arrival in Mostar: The bus station in Mostar is situated in the north end of town, next to the main train station, from the bus station, there is about 1-1.5 km to the Stari Most bridge and the old town of Mostar Accommodation in Mostar: The city Mostar offers a great variety of accommodation, apartments and hotels in Mostar you can find here, low budget accommodation and hostels you can find here.